Cats love being in elevated places; dogs not so much. However, many dogs do benefit from having their food elevated by a raised feeder. Cat perches and trees, like the Mr. Herzher’s Single Seat Cat Perch, are great to get active kitties off the ground. Similarly, elevated feeders, like the Stormcloud Elevated Dog Feeder, is perfect for medium and large dogs that have to crane their neck to get food from food bowls at ground level. It’s common for cat parents to find their feline friends in high places in the home, places like above the fridge, shelves, tables, or window sills. In addition to the amazing fact that they can effortlessly get up to high places, cats enjoy, sometimes even prefer, to be perched high above the ground for their own security. From higher up, it’s easier to see the surrounding environment and whether any “predators” are entering the space. If that elevated space is close to a wall, it prevents a surprise ambush from behind from another cat in the home. Now that the kids are back to school and the adults are off to work, cats can easily become bored. One way to enrich your cat’s environment is to place an elevated perch in front of a sunny window, especially one with lots of birds to view – instant cat TV! Having a perch for your cat is great for their health too because it allows them to play, climb, and jump on the structure. 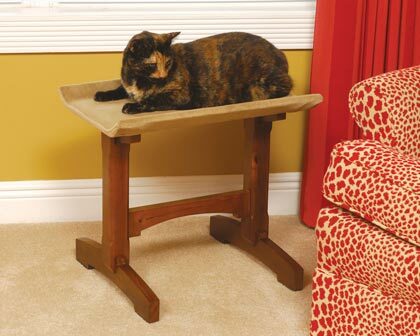 The Mr. Herzher’s Single Seat Cat Perch is a comfy perch that allows your cat to lounge in comfort. The ultra-comfortable seat is cushioned and upholstered with a microfiber suede fabric, making it a soft and durable elevated bed for your precious cat. Additionally, the edges of the seat are raised for a snuggly feel and safety barrier for those active cat naps. This perch is made of durable, solid wood with a wide base and comes in the color Early American. The bottom contains non-slip padded feet to keep it stable and protect non-carpeted floors from scratches and chips. However, while it’s highly unlikely to see a dog perched on a cat tree, one thing dogs like elevated is their food. Raised feeders are highly recommended by vets for medium and large dogs, especially geriatric dogs and dogs with certain medical conditions. The main benefit of a raised feeder is that it provides easy access to food and water, which help simplify the movement of food from the mouth to the stomach. It also eases the strain put on dogs’ necks, hips, shoulders, and joints because of the position of the food. As a result, raised feeders promote better posture, which can help older dogs and dogs that suffer from arthritis. For pet parents, raised feeders can reduce the mess that some sloppy eaters can create, especially those that love to splash the water out of the bowl. And less food on the ground means it’s less likely to attract insects or other pests. It also provides a stable feeding surface for dogs so they don’t have to “chase” the bowl across the floor. The Stormcloud Elevated Dog Feeder is a raised stand that brings your dog’s food closer to their mouth. This convenient stand has legs that can be removed to correspond with a dog’s growth from puppyhood to adulthood. In addition to helping reduce vomiting, the Stormcloud Elevated Dog Feeder is great for pets with stiff or sore joints due to arthritis because they don’t have to bend down as far to eat their food. This elevated feeder contains two removable stainless steel bowls for food and water and comes in two different sizes, Large and Extra-large. 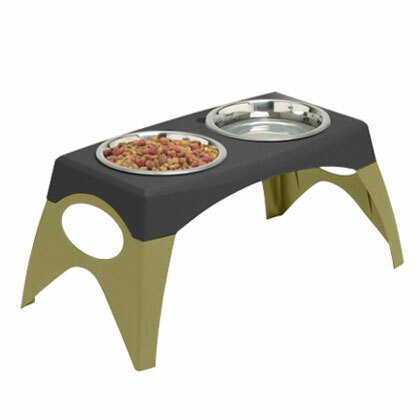 Win a FREE Cat Perch for your cat or an Elevated Feeder for your dog! Win a free perch for your cat or an elevated feeder for your dog!! 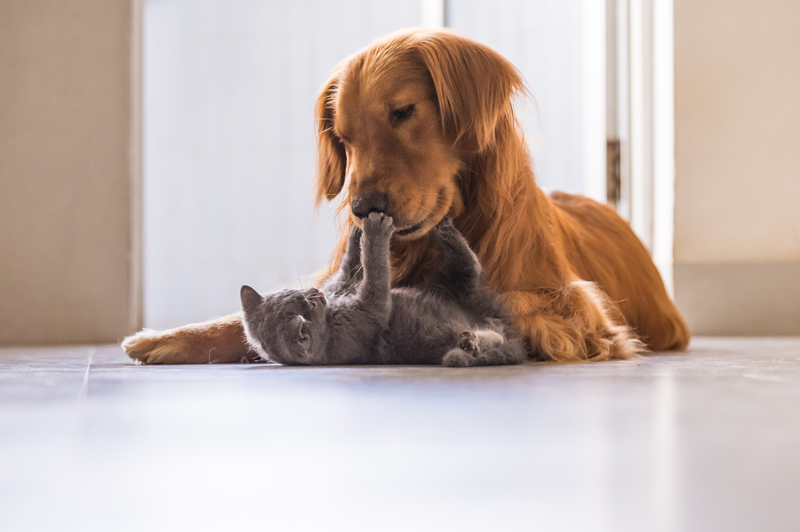 Just leave a comment below specifying “cat” or “dog”, and you could win a FREE perch or elevated feeder from 1800PetMeds! The giveaway runs from Thursday, August 30, 2018, through Sunday, September 9, 2018, so everyone who participates has a chance to win! Two winners will be chosen at random on Monday, September 10, 2018. There will be a total of two (2) winners. (Limited to residents of the U.S.) Good luck! Congrats to the drawing winners: Kimberly D (cat perch) and Carrie K (elevated dog feeder). Look for an email from us about claiming your prize! My DOG would love the Stormcloud Elevated Dog Feeder! My Cat would LOVE this perch !